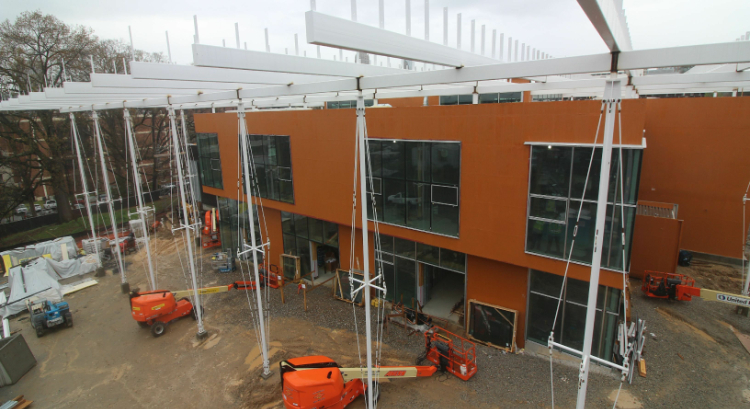 Zero energy commercial buildings appear to be accelerating their steep ascent. January 2018 data from the New Buildings Institute shows rapid growth over the 15 months since the 2016 data was collected. Chart provided by NBI. “Zero energy” refers to buildings that generate at least 100 percent of their own power from renewable sources that are either onsite or built specifically for the project. A big driver for buildings that fit that definition has been technology — most obviously a steep drop in the cost of solar panels and a corresponding rise in their productivity. Liljequist also cites the development of highly efficient heat pumps, radiant cooling systems, and techniques that can improve building envelopes. Just as important: the expanding familiarity of architects, engineers and even investors with zero energy. That’s precisely what happened five years ago in a conversation between architect Wyck Knox and Arlington (Va.) Public Schools. 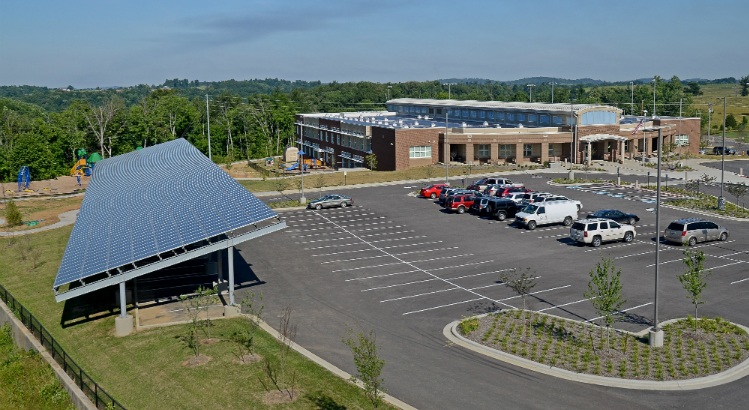 Arlington’s 98,000-square-foot Discovery Elementary is now verified as a zero energy building. It also won Top 10 Award for environmental achievement last year from the American Institute for Architects. DiNola points to the influence that codes and incentives can have on encouraging zero energy buildings. More than half the emerging buildings in the NBI inventory are in California. 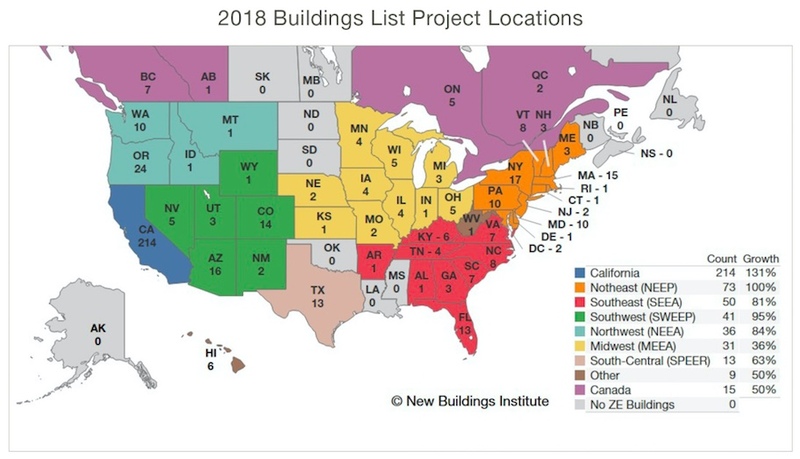 Not surprisingly, that state has the most favorable rating on NBI’s “Zero Energy Performance Index Jurisdictional Scores.” Among other goals, California is mandating that all new state buildings be designed for zero energy performance by 2020. This map shows the number the number of verified and emerging zero energy buildings in each state. The percentages in the legend indicate growth since fall 2014. And champions are spreading the zero energy bug to unlikely parts of the country. 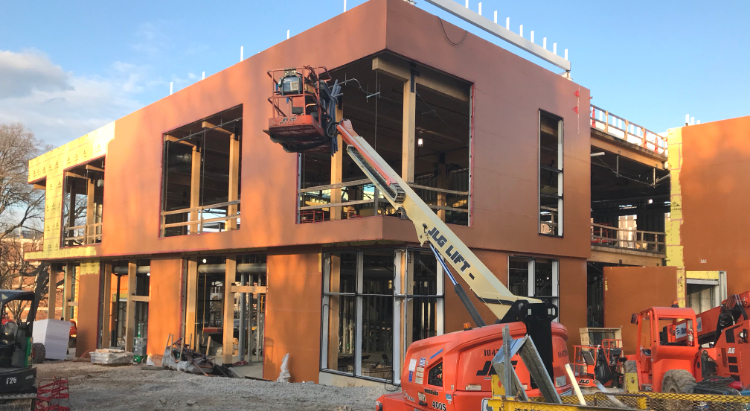 Kentucky-based CMTA Engineers has made a name for itself by designing zero energy schools, offices, police stations and even a car dealership. Among the largest emerging buildings is the 260,000-square-foot Darla School of Business, completed last year at the University of South Carolina; it was designed by Rafael Vinoly Architects of New York City, with engineering by Stevens & Wilkinson of Atlanta. Last year, the zero energy movement got an advocacy boost when NBI and ILFI agreed to align their respective programs in an effort to scale up adoption. In addition to cataloguing projects and providing training for building professionals, NBI now serves as auditing agent for ILFI’s Zero Energy Certification program. At the same time, ILFI streamlined its Zero Energy Certification process, and has seen an upsurge in projects registering int that category. 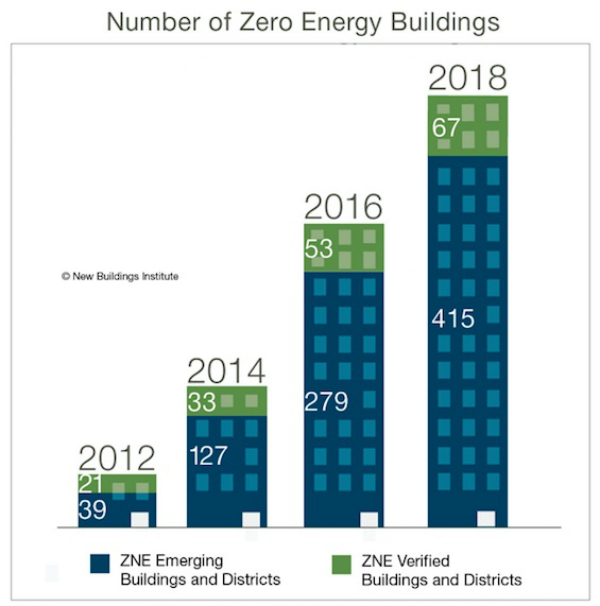 Seventy-two percent of zero energy commercial buildings fall into one of three categories: education, offices and multifamily, in that order. Broader factors, such as zero energy districts, energy storage and “grid harmonization” are playing a larger role in making zero energy buildings possible. The size of zero energy buildings is increasing. Only 1 percent of verified buildings are larger than 100,000 square feet. But 18 percent of the emerging buildings are in that size category, and another 23 percent are between 50,000 and 100,000 square feet. The trends identified by NBI’s Getting to Zero are similar to those identified by an international report released last fall by a private research company. Grand View Research estimated that the global market size of equipment and services for zero energy buildings, which it refers to as “net-zero energy,” was $8 billion in 2016. By 2025, Grand View predicted, that market will grow nearly 10-fold to $79 billion. PHOTO AT TOP: Richardsville Elementary School in Bowling Green, Ky., became the nation’s first zero energy school in 2010. 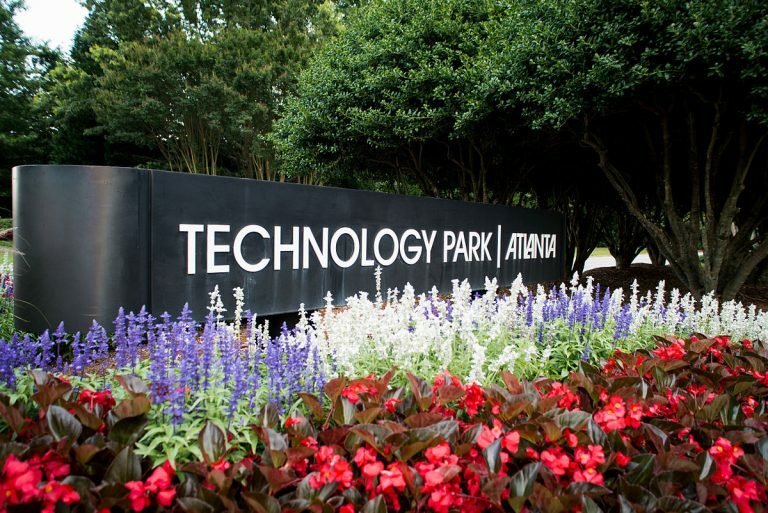 It was designed by Sherman-Carter-Barnhart (architects) and CMTA (engineers). 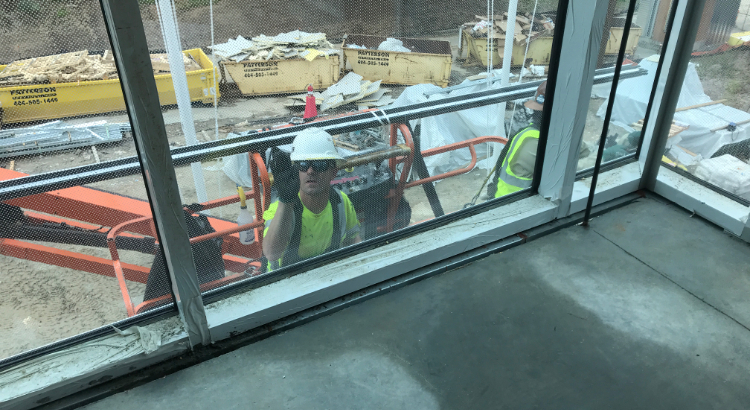 Photo courtesy CMTA/Sherman-Carter-Barnhart. DISCLOSURE: The Living Building Chronicle is a project of The Kendeda Fund, which also has provided funding for the International Living Future Institute and the New Buildings Institute. The Chronicle is editorially independent of those organizations and separate from the grant-making process. Yes, finally some good news! Great article! Great story. Three cheers for these pioneers (hey that rhymed)! And thanks for spreading the word. We need a lot more of both! Great trend to see, and glad someone’s reporting on it, because that’s a big part of how this trend will maintain momentum. More institutional and government building owners need to get excited about having their own buildings and campuses like this and how they can lead the way by implementing this in their communities. Good work, Ken.